Swallowtail butterflies are large, colorful butterflies that form the family Papilionidae. 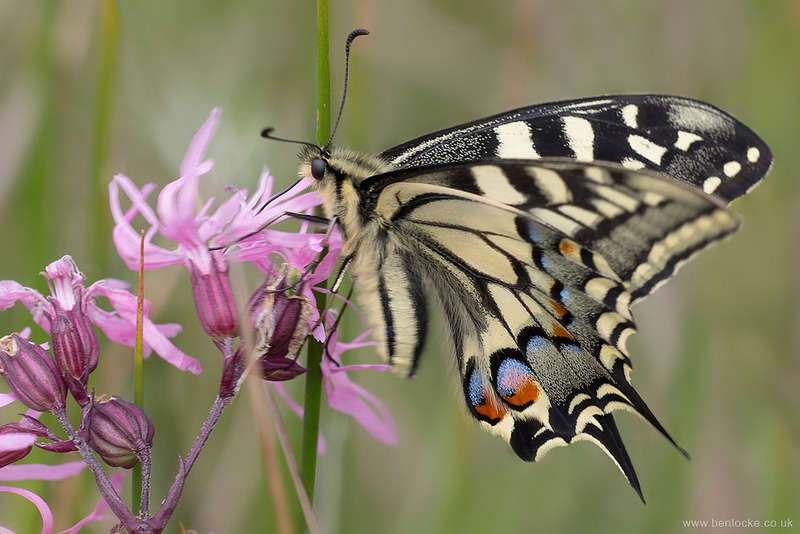 Swallowtails differ from all other butterflies in a number of anatomical traits. Most notably, their caterpillars possess a unique organ behind their heads, called the osmeterium. Normally hidden, this forked structure can be everted when the caterpillar is threatened, and emits smelly secretions containing terpenes. The adults are often tailed like the forked tail of some swallows, giving the insect its name. Photographed at Strumpshaw Fen, Norfolk.